You've seen it time and time again. Images of festival fields strewn with plastic and wrappers from revellers who have discarded their rubbish in a frenzy to leave the campsite, the streets outside clubs littered with empty water bottles and plastic pint glasses. Each year, Ibiza attracts thousands of excited tourists and ravers to its vibrant music scene and tranquil shores. However, it seems more recently, the sun sets on a shocking amount of abandoned litter. It’s estimated that plastic could outweigh the fish in our oceans by 2050 (Ellen MacArther Foundation), and with an estimated 1.4 billion pounds of rubbish ending up in the sea every year (4Ocean), change is more crucial than ever. 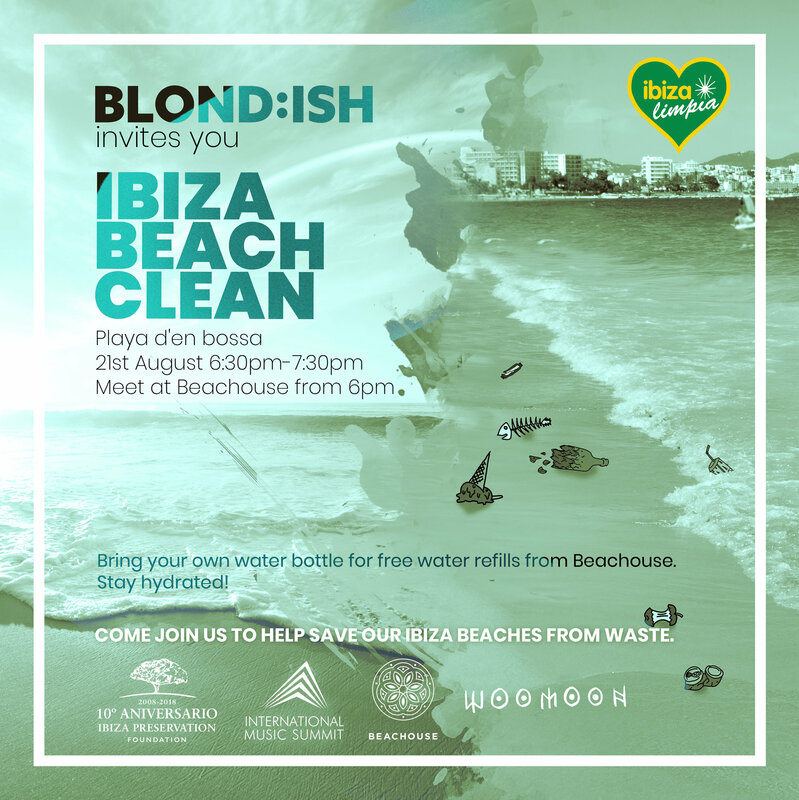 Anstascia and Vivie-Ann aka BLOND:ISH are running a Beach Clean on Playa d’en Bossa, Ibiza on Tuesday 21st August. The event sees them partner with International Music Summit, Casita Verde, Ibiza Preservation Foundation and Woomoon. Everyone will meet at 18:00 at BEACHOUSE for a 18:30 start at Playa d’en Bossa on Tuesday 21st August. BLOND:ISH will be joined by event partners Casita Verde and Woomoon, along with island locals and activists including Dylan Blue, and several other friends and DJs. As the first beach restaurant in Ibiza to ban disposable plastics, BEACHOUSE will also be involved, and will keep everyone hydrated throughout the clean.